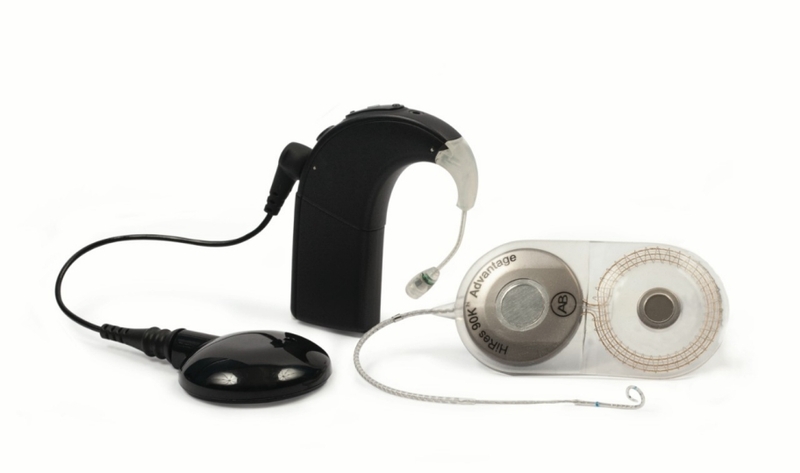 AB’s Audiologist & Surgeon Library provides you with up-to-date product manuals, videos, documents and related resources specific to AB cochlear implants. For additional materials, please visit AB’s Document Library or Training Library, or your AB local representative Customer Service. Surgeons seeking immediate OR surgical assistance, please call AB’s OR Hotline: 866.550.4032 (U.S. & Canada only). Advanced Bionics has created a wide range of manuals, catalogs, and documents on products that are specific to the needs of audiologists and surgeons. Download PDFs of the literature by clicking on the links below. All explanted devices should be returned to Advanced Bionics. All contaminated parts must be returned in the Cochlear Implant Explant Return Kit, part #5093145-001, in accordance with International Air Transport Association (IATA) rules. If you have an explanted device to return, please contact Advanced Bionics customer Care Team at 877.829.0026 (U.S. & Canada) or by email to request a Return Materials Authorization (RMA) number. Customer Care will then send an Explant Return Kit to your center to return the explanted device. For questions regarding AB’s warranty policy for internal devices, please review the warranty below by clicking on the link below and downloading a warranty PDF. If you have additional questions, please contact AB Customer Service. Advanced Bionics offers high-resolution sound processing strategies to provide flexibility in meeting individual programming needs. HiRes Fidelity 120*™ captures the widest acoustic range, composes the entire captured sound spectrum, details sound in greater resolution, and delivers processed sound at higher rates to preserve information and provide your patients with the highest-quality hearing experience. Learn more about each of AB’s sound processing strategies by clicking any of the links below. * Not available for pediatric use in the United States. To assist audiologists during cochlear implant programming, AB provides the following resource cards. Click on the link(s) to download a card PDF. To help ensure that cochlear implant surgery for your patients goes as smoothly as possible, AB has produced a video for surgeons entitled “HiRes 90K Surgical Video Featuring the HiFocus Helix and HiForcus 1j Electrodes.” This thirty-five minute video describes the HiRes 90K implant, the HiFocus Helix and HiFocus 1j electrode arrays, and the actual surgical procedures for cochlear implantation. It is designed as a reference and training tool for surgeons to be used in conjunction with the accompanying surgical manual of the same name. The HiRes 90K implant has been approved for magnetic resonance imaging (MRI) at 0.3 Tesla and 1.5 Tesla with the internal magnet removed. Previous generations of Advanced Bionics implants are not approved for MRI. For more information and removal and replacement procedures, please click on the links below to download a PDF (or presentation). Perilymph fistulas and skull fracture/defect with CSF communication. Pneumococcal vaccines provide important immunization and protection, but many cochlear implant recipients have not been vaccinated. AB requests your assistance in ensuring any of your unvaccinated implant patients—particularly those 18 years old and younger receive their vaccinations. If any of your patients have not been vaccinated, or you do not know their vaccination status, please encourage them to see their pediatrician or family physician immediately for the pneumococcal vaccine. AND PLEASE HAVE EVERY COCHLEAR IMPLANT CANDIDATE VACCINATED BEFORE COCHLEAR IMPLANT SURGERY. Because recommendations for the timing and type of pneumococcal vaccination vary with age and vaccination history, please consult the resources listed below. Please note that the ACIP recommendations issued October 12, 2012 supersede previously published vaccination schedules. Quickly and easily replace sound processors with Processor Direct. AB offers solutions to help you reconnect to the world of sound.